Soon afterward, Khalil's death is a national headline. Some are calling him a thug, maybe even a drug dealer and a gangbanger. Starr's best friend at school suggests he may have had it coming. When it becomes clear the police have little interest in investigating the incident, protesters take to the streets and Starr's neighborhood becomes a war zone. What everyone wants to know is: What really went down that night? And the only person alive who can answer that is Starr. But what Starr does--or does not--say could destroy her community. It could also endanger her life. 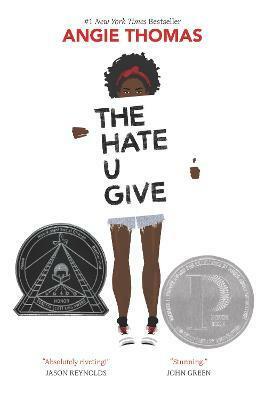 Angie Thomas's searing debut about an ordinary girl in extraordinary circum-stances addresses issues of racism and police violence with intelligence, heart, and un-flinching honesty. This collector's edition of the acclaimed, award-winning novel contains a letter from the author; the meanings behind the names; a map of Garden Heights; fan art; the full, original story that inspired the book; and an excerpt from On the Come Up.